The ORBERA intragastric balloon is part of a 12 month comprehensive weight loss program designed to provide effective, motivating results that you can see. With ORBERA, patients on average lose 3.1 times the weight they would with diet and exercise alone. 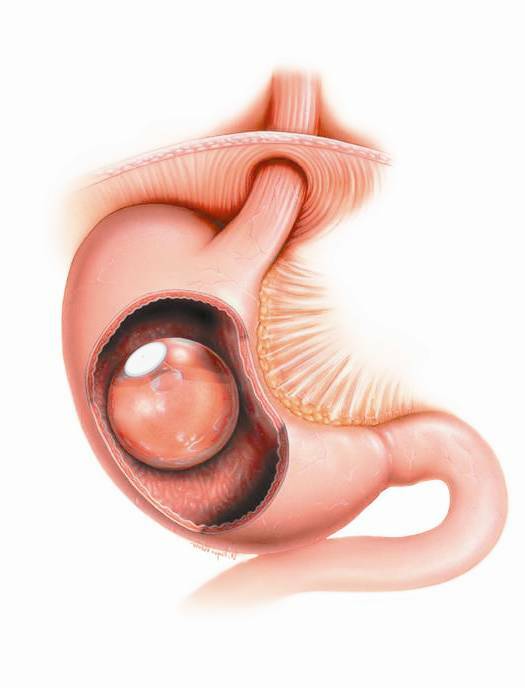 ORBERA is a soft balloon placed in the stomach for six months to take up space and help with portion control. After 6 months the balloon is removed. For a total of 12 months patients receive coaching from a team of experts, including a dietician, nurse practitioner, physicians and support staff. Placement of the ORBERA gastric balloon is done as a non-surgical, outpatient procedure under a mild sedative. During the procedure the thin and deflated ORBERA balloon is placed into the stomach. It is then filled with salt water until it is about the size of a grapefruit. The procedure typically takes about 20-30 minutes and you go home the very same day. At six months, the balloon is removed under general anesthesia. The weight loss with ORBERA is rapid, with the majority of weight loss typically occurring in the first three months of placement. On average patients lost over three times the weight loss of diet and exercise alone. The adjustments to your eating habits and your continued efforts to stay active will greatly influence your results. ORBERA is for adults suffering from obesity with a Body Mass Index of 30 to 40, who have been unable to lose weight and keep it off. Additionally, ORBERA may be beneficial for individuals needing to lose weight for other surgical procedures. To receive ORBERA, you must be willing to participate in a medically supervised program for 12 months. Interested in learning more? View the ORBERA informational webinar at the top of this page and then click here to complete survey questions. Then, submit the below application to our office. Your application will be reviewed by our surgeons, and we will contact you to schedule an appointment. Questions or Concerns? Please call our office at 410-601-4486.